AFTER apologising for his failure to handle child abuse claims, Grafton's outgoing Anglican bishop Keith Slater chose as his replacement a man who for 10 years helped run the home where untold horrors were alleged to have been committed. The revelation came yesterday, the second day of an inquiry into the Grafton diocese's response to allegations of sexual abuse at Lismore's North Coast Children's Home. Former acting registrar Anne Hywood was questioned for much of the day about her role in the events leading up to former Grafton Bishop Slater's exit earlier this year. She told of how she had become so concerned about the way in which Bishop Slater and then registrar and Clarence Valley councillor Pat Comben had handled allegations of sexual abuse at the home that she wrote to senior clergy members in Sydney. She believed the pair managed claims on their own for many years, without complying with the professional standards protocol and had looked at the situation from a legal position rather than the obligation of the church. She was also "not confident that everything that should have gone to police had gone to the police". Her concerns were first relayed at the start of the year after victim Richard 'Tommy' Campion - who has told the royal commission children were subjected to brutal beatings and barbaric treatment - was invited to meet Bishop Slater. Ms Hywood felt it was "unbalance and unfair" of Bishop Slater to have "a very senior legal representative" with him at the meeting where Mr Campion was not allowed the same privilege. During a five-hour phone conference in May this year, Ms Hywood said it was suggested by Sydney leadership that Bishop Slater "might like to consider resigning". Soon after she helped the bishop draft his statement to be read out at local church services and a media release which included an apology to victims and an acknowledgment professional standards protocol had not been met. But Ms Hywood's concerns did not end there. 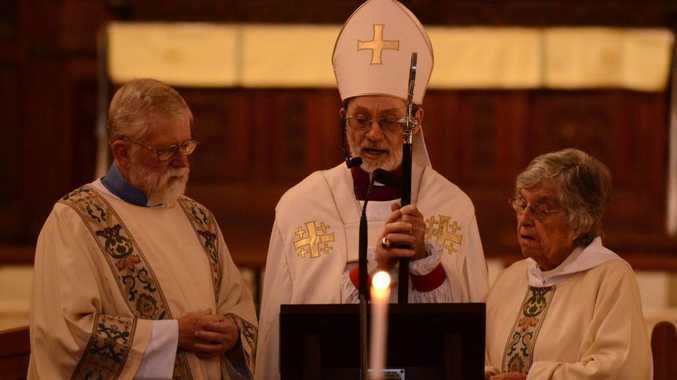 With the knowledge a royal commission was looming and at a time when the Grafton diocese was embroiled in controversy, Bishop Slater chose Archdeacon Gregory Ezzy to act as administrator until a new bishop arrived. It was known among members of the Anglican hierarchy that between 1985-95 Mr Ezzy, during his time as rector of the Lismore Parish, had been chair of the North Coast Children's Home management committee. Ms Hywood was also aware Mr Ezzy's wife had been superintendent of the home for a period and that her name was listed by one victim who complained of psychological abuse she had been subjected to as a child. She told the commission she felt the perception would be "very bad"... that the church had just lost a bishop through a "very controversial claim" and that they were about to choose someone who had been involved in the running of the home. Former Bishop Slater, Mr Ezzy and Mr Comben will be called to give evidence at the hearings in Sydney.